Carrie Poyser, a mother of four, has been involved in business management across Canada the past twelve years. Currently running a farm in Annapolis Valley with her business partner and husband, Carrie is passionate about finding the best residential and agricultural options for her customers. With a background in marketing and video production, Carrie brings years of experience about marketing and design strategies to her sales portfolio and real estate business. Whether you are purchasing or selling your home or farm, Carrie is someone you can trust to make sure your needs are understood and reflected in your real estate transaction. Sherri is a REALTOR® who is dedicated, energetic and who looks to exceed expectations and has excelled in sales in the valley for the last 4 years! Hailing from Newfoundland, she attended Saint Mary’s University (BSC) as well as Dalhousie University (RDH) , fell in love with Nova Scotia and settled into life in the beautiful Annapolis Valley. Having spent most of her working career in the Sales and Service industry, Sherri understands that the most important asset to being successful is creating and maintaining long lasting client relationships. She looks forward to meeting all your individual needs with complete confidentiality, loyalty and professionalism. Sherri Lonar and Carrie Poyser teamed up to become Sherri & Carrie in September 2016. This forward thinking, dynamic duo decided it was beneficial to combine their sphere of influence, sales expertise and marketing skills in order to grow their business. With over 100 sales in 2017, it has proven to be a successful partnership! Sherri & Carrie were the first Realtors in Nova Scotia to provide a 3D Matterport Virtual Tour as part of their listing package offering a new marketing tool to both sellers and buyers. The 3D Matterport camera allows sellers to showcase the layout of their home in virtual reality so that buyers have the convenience of viewing their home from out of province and around the world without even booking an appointment. This duo set themselves above the competition with keen marketing strategies and unique advertising. 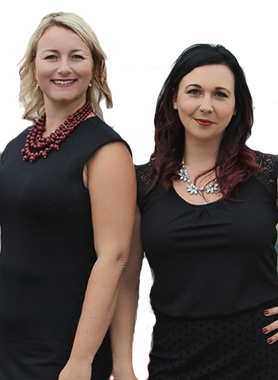 Sherri & Carrie think outside the box to showcase their listings, provide premium service to their clients by their unmatched ability to forge long lasting client relationships while always having a strong work ethic in everything they do. With the support of family, friends and loyal clients, they rank Top 10 in Nova Scotia, Top 100 in North America and are Diamond Award winners for 2017 in sales with Exit Realty. Hi Sherri & Carrie, When I was browsing http://realestatechannel.ca I found your profile. Please contact me about your services. Thank you.